Naveen Jindal School of Management at UT Dallas enrolls about 6,800 high-energy students in six undergraduate, 10 masters and an array of MBA programs. Jindal School programs are nationally and internationally acclaimed and faculty members are recognized globally for their research. Students may select from online and on-campus classes held year-round during the day and in the evening in order to tailor their education to meet their career goals. The Full-Time, Professional and Executive MBA programs all have earned national rankings and are known for providing students strong analytical skills. UTD admissions standards are high. Currently, admission to the full-time MBA (cohort) program is particularly competitive, admitting just about 25 percent of applicants. Admissions rates and requirements depend on the program to which you are applying. The entering class had an average GMAT score of 668 and an average undergraduate GPA of 3.6. In a...UTD admissions standards are high. Currently, admission to the full-time MBA (cohort) program is particularly competitive, admitting just about 25 percent of applicants. Admissions rates and requirements depend on the program to which you are applying. The entering class had an average GMAT score of 668 and an average undergraduate GPA of 3.6. In addition to transcripts and test scores, students are required to submit personal essays and recommendation letters. UT Dallas provides many services to help students’ career prospects, such as “frequent workshops and seminars,” which “help students find the right job after (or during) the program.” It doesn’t hurt that the school is located in Dallas where “lots of companies . . . are interested in hiring graduates.” “The Dallas business community is among the most vibrant in the United States, and I wanted to stay close to this when I graduate,” says one consulting student about his decision to attend UT Dallas. The school could do more to “improve in developing further relationships with the large companies in the Dallas/Fort Worth area” and “improve on job prospects of students.” “Maybe it’s the economy, but we haven’t seen many prominent recruitments on campus,” says one student. “[We are] pretty much on our own.” Other students say that although placement may not be as strong as it could be, the school is “on the right track.” UT Dallas is “still a relatively young full-time MBA pro¬gram that is growing its alumni base,” but it is “building a strong reputation and connec¬tions to the Dallas business community.” The school claims an average base salary of about $70,000 for recent graduates, and almost 88 percent find placement in the Southwest. Some companies that recruit from UT Dallas include Richards Group, JP Morgan, Sunquest, Bank of America, and Capital One. The University of Texas at Dallas is “one of the fast growing schools” with a “good rep­utation in the Southwest area,” offering “a variety of concentration areas, as well as MS degrees within those areas.” Unlike most MBA programs, UT Dallas’s full-time, cohort-based MBA’s “duration is only 16 months.” “UT Dallas is a great bargain for an MBA program, factoring in national rank, prestige, and tuition prices,” one student declares. UT Dallas is “ranked in the top 50,” yet has “reasonable tuition” and is “a quarter of the price of SMU (the other good option in Dallas).” The Jindal School has a “rigorous cur­riculum,” “flexible scheduling,” “higher than average test scores, and top tier faculty.” The city of Dallas is a huge plus for business students, as the “DFW Metro area [is] where many Fortune-500 companies base their headquarters,” which provides “many opportu­nities for graduates.” The professors at UT Dallas “are very attentive and interested in their students learning,” which is evidenced by how readily they “make themselves available for extra instruction outside of class.” The faculty strikes a balance “between professors with an academic background and real-world background,” giving students the best of both worlds. “They seem to have a genuine interest in teaching the courses” and “are very enthusiastic about what they teach, and this is very motivating.” Professors at UT Dallas work hard to “encourage debates and arguments to explore other opinions in the classroom.” However, some students say too many of the professors are “boring academics” who teach with “an unnecessary emphasis on working in groups or giving presentations.” While not small, the class sizes are “manageable” and “have a small-school feel” where “you are able to really know each and every student in the class and develop close rela­tionships beyond just a name.” Students are mostly happy with the school administration, calling it “extremely helpful” and “very interested in the experience of its students.” The Jindal School “administrators are extremely caring and always make themselves accessible,” one student says, “whether it be for school or non-school issues. Many times, they go above and beyond expectations just to help us in our lives, both career and personal.” “When emailing var­ious offices and professors, I always got a swift and helpful response,” says another. However, “online registration and notification of critical deadlines” could be “communi­cated [more] effectively and thoroughly,” and there are always “long lines at bursar’s, financial aid, and advising” offices. Students with cars beware that “parking is a night­mare.” The School’s problems may be improving, though. As one student says, “We are still an up-and-coming university, so all the kinks may not be worked out, but we are heading in the right direction. I’m excited to be a part of this university, and I know it has a very bright future.” According to university officials, newly approved construction projects will add 1,700 parking spaces in the near future. 50,000 square feet Executive Education and Event Facilities Wing with ongoing certification and executive-level training programs. 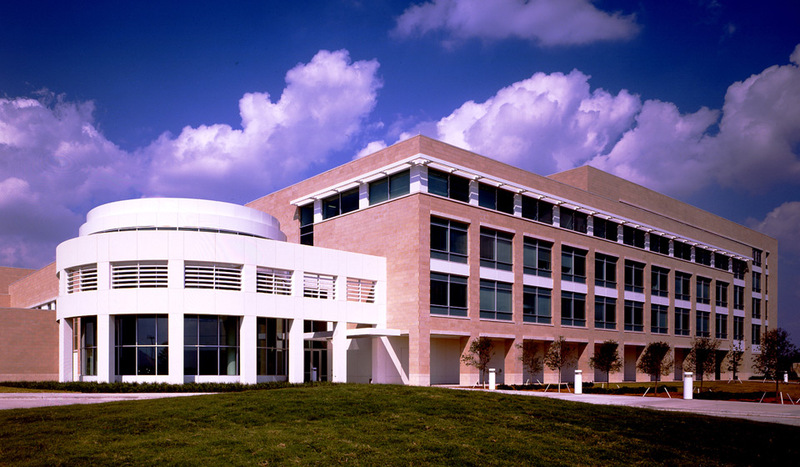 Several research centers including: Center for Accounting and Information Management, Endorsed Internal Audit, Center for Information Technology and Management, SAP Users Interest Group, Center for Intelligent Supply Systems (product lifecycle and supply chain management), Institute for Excellence in Corporate Governance, Institute for Innovation and Entrepreneurship, and The Leadership Center at UTD. Chapters on the National Hispanic MBA and National Black MBA; also National Black Accountants organization as well. David Holmberg - President, CEO/Jo-Ann Stores Inc.
Want more info about University of Texas, Dallas, Jindal School of Management Full Time MBA? Get free advice from education experts and Noodle community members.